We offer custom development to the YetiShare code, custom plugins, script installation, server installation, template changes and more. Our pricing is detailed below. If you have specific changes you'd like done to the YetiShare code we can help! For any coding changes or tweaks to the existing YetiShare script. Built using the plugin architecture, where possible, so it's easier to upgrade on future releases. Quote based on the hourly rate below but we always provide a fixed price for the work. No nasty bills at the end! 30% deposit required to schedule in the work. The rest is due on completion. Lead time to start work is normally around 7-10 days. Need help installing and configuring your servers for YetiShare? Let us do the work for you. See below for a full list of installation options. For additional information or to order feel free to contact us. Installation of the YetiShare core script. Assumes you have your server setup and configured with PHP, MySQL etc. 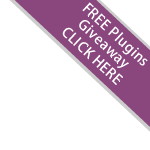 Free installation of any additional plugins you purchase, excluding the ones listed on this page, below. 24 hour turnaround time, although normally done quicker. Linux CentOS 64bit OS recommended. Complete configuration of your server to best perform with YetiShare. * DNS configuration and mail server not included. Installation and configuration of ProFTPD. Installation of ffmpeg and all codecs. Installation of zip, unzip, tar. For additional information or to order feel free to contact us.